To compete in retail today—against both brick-and-mortar and online competition—retailers are placing a special focus on improving the in-store customer experience. Workforce optimization has become a central focus to achieve this and develop an enhanced customer experience as well as more efficient workforce strategies. Here are three ways effective retail workforce management can help you optimize the customer experience across store locations. To stay ahead of the competition and deliver exceptional customer service, retailers must recruit, select and retain top-performing team members. Retailers are recognizing the importance of employees working the store floor as a key component in providing a superior shopping experience and improving customer satisfaction. 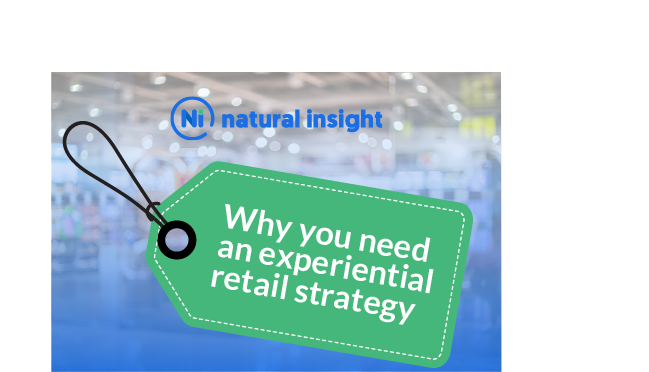 According to a recent PwC report, 78 percent of retailers worldwide say sales associates with deep knowledge of the product are an important factor for the in-store shopping experience. Since consumers today are increasingly consulting their mobile phones as they shop—researching social media commentary and product reviews—the in-store sales associate needs to offer above and beyond basic product knowledge. Using a field management tool and staff scoring, retailers can ensure the most knowledgeable sales associates are working during peak demand hours. Through staff scoring, they can also qualitatively rate employees by measuring their engagement and reliability, which will ultimately improve their workforce ROI. On-demand workforces are becoming increasingly popular as they allow retail organizations to offer flexible employment to qualified workers, which in turn helps them to provide the best in-store experience to customers. Effective retail task management helps retailers to predict the number of sales associates and employee skill sets needed at each of its stores throughout the week. It also provides efficient staff scheduling, timekeeping, task management, field communications and analytics to gain more visibility into the health of their workforce. Workforce management is a major area of opportunity for retailers looking for ways to improve productivity and enhance the customer experience. Through workforce management solutions, retailers can centralize tasks and streamline operational processes, ensuring all projects are completed properly. Field teams—whether they are sales associates, brand ambassadors or merchandisers—are empowered with consumer trends and advanced field reporting to support sales and enrich the customer experience. For instance, brands and retailers can ensure retail compliance and keep track of project completion and productivity by visually verifying proper product placement and real-time stock inventory data. Effective field management software provides retailers with unprecedented visibility into what is happening in their stores. On-demand workforce communication tools also help retailers to consistently deliver the best experience to customers, carry-out flawless in-store execution and drive more sales through a unified user experience. To successfully adapt to the constantly evolving retail landscape and meet customer demands, retailers must leverage effective retail workforce management. Robust technology solutions like Natural Insight help to effectively manage the entire workforce by fueling growth, increasing market share, optimizing the customer experience and ultimately increasing customer loyalty.